What a crazy week we had to start off 2018 as “Freeze-mageddon” came blowing through with several nights of temperatures in the 20s or worse across the state. I’ve been hearing and reading comments about the extreme cold we’re experiencing and how unusual it is. But to tell you the truth, these temperatures are not that unusual. While individual winters may be warmer or colder, they are only single data points. Climate change takes tens, hundreds and even thousands of years to happen. The U.S. Department of Agriculture produces the most reliable plant hardiness data and evaluates the annual extreme minimum temperatures over time. Look at the average minimum temperatures across these zones: 9a (Biloxi), 20 to 25 degrees; 8b (Hattiesburg), 15 to 20 degrees; 8a (Jackson), 10 to 15 degrees; and 7b (Tupelo), 5 to 10 degrees. There’s no denying that it got cold, but the weather was not unusual. What was unusual was the duration of the freeze. I’m like many of the gardeners I know, especially on the coast. I was watching the weather and found myself thinking we weren’t going have temperatures that low. Boy, was I wrong. So, there I was on December 31 trying to protect my garden and landscape in the cold drizzle. I remembered to unhook my hose from the outside spigots, something I forgot last year and had my pipes freeze solid. Then I started moving my containers into the garage, which I first had to clean and make room. I even moved in my 25-gallon citrus containers. In previous years, I had decided against moving those 300-pound pots. I moved containers until my hands hurt from the cold because everything I left outside had to fend for itself. 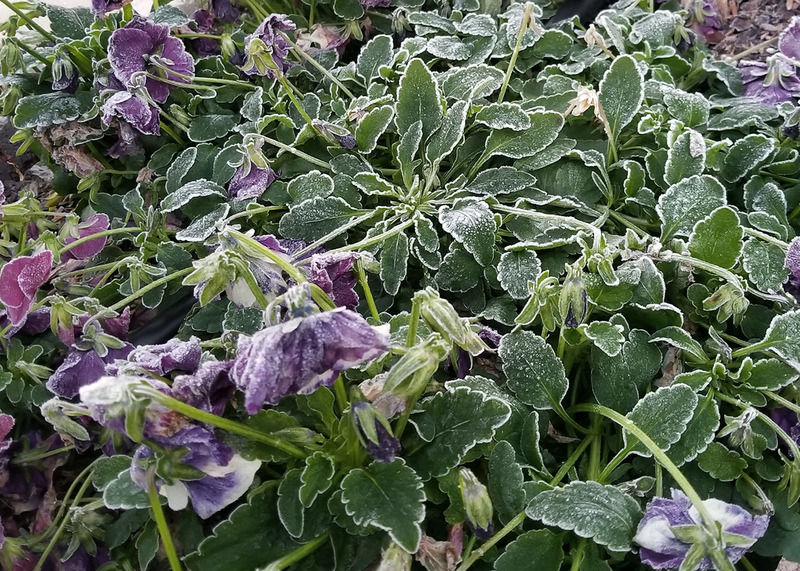 Now, as we warm up a little, gardeners will start to see if the cold damaged our plants. The most apparent damage will be seen on tropical plants. Freezing temperatures turn to mush these plants we love to have in the garden. Even if you covered the plants, temperatures in the lower 20s cause damage. Don’t remove any of the mushy foliage yet; it will help protect the crown of the plant, if it survived. We will probably see some damage on woody landscape plants, but don’t jump the gun and start pruning them too soon. It is best to be patient and wait to assess winter damage when the plants start pushing out new spring growth. Cool-season bedding plants can be a bit perplexing. In my case, I have Cool Wave pansies that have the reputation of being very tolerant of the cold. Initially, they looked pretty pathetic at 24 degrees, but they perked up when the afternoon temperatures hit a balmy 39. 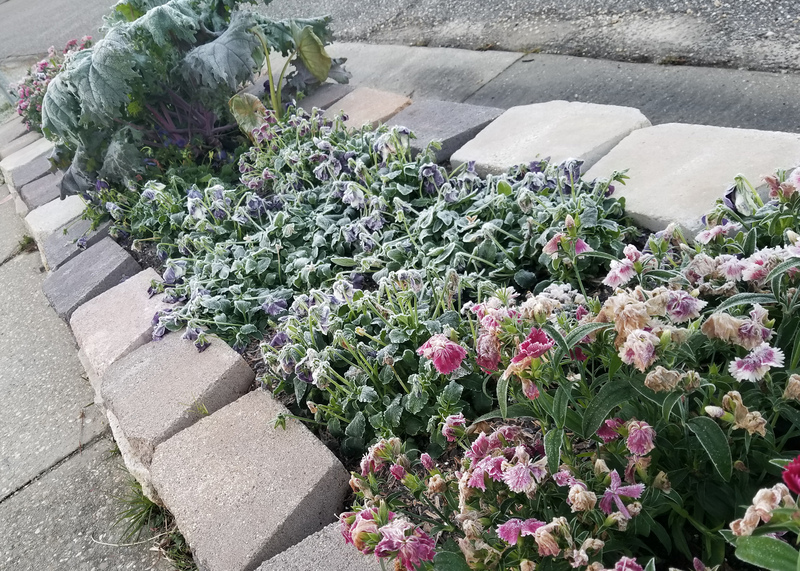 My Telstar dianthus and Storm Mix kale handled the temperatures like champs. I’m glad I choose these varieties every winter. So, don’t panic. These winter temperatures are normal. Any plants lost because of the cold weather -- and remember that we lose plants every year -- just create an opportunity to try something new in the landscape.